P.S. my boyfriend just watched this video and here's his comment to it..
(Mo-) This guy is your boyfriend! (Me-) You're a dork. I love it. Centipede on the Christmas tree. 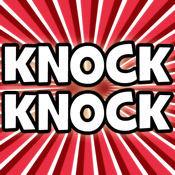 Ahahahaha… feel free to leave your best knock knock jokes as a comment!! Who's there? Danielle. Danielle who? Danielle, the best joke teller, duh.